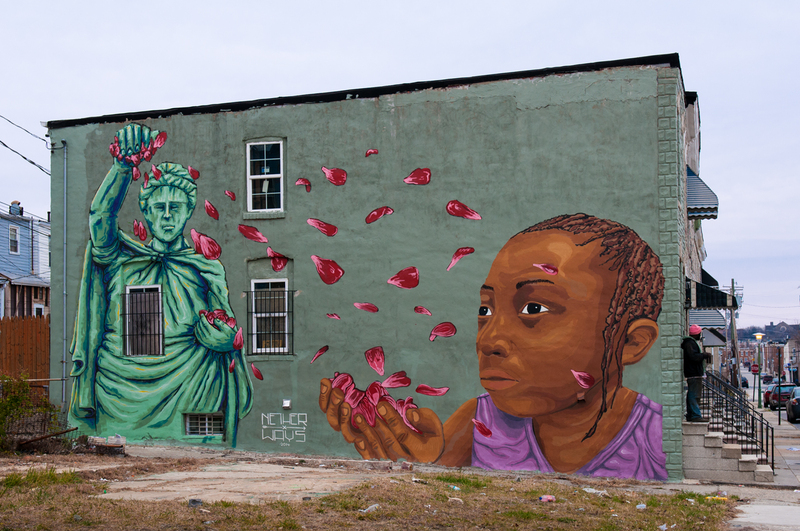 Today’s edition of What’s Up on Charm City Streets covers the month of December 2014 and features a new collaborative mural by Nether and Stefan Ways. Their work is in remembrance of McKenzie Elliott, a three year-old victim of senseless gun violence earlier this year in Baltimore. You will also see two new wire sculptures by Reed Bmore, several views of Toronto artist Shayan at work; plus, work by four other artists in Graffiti Alley. 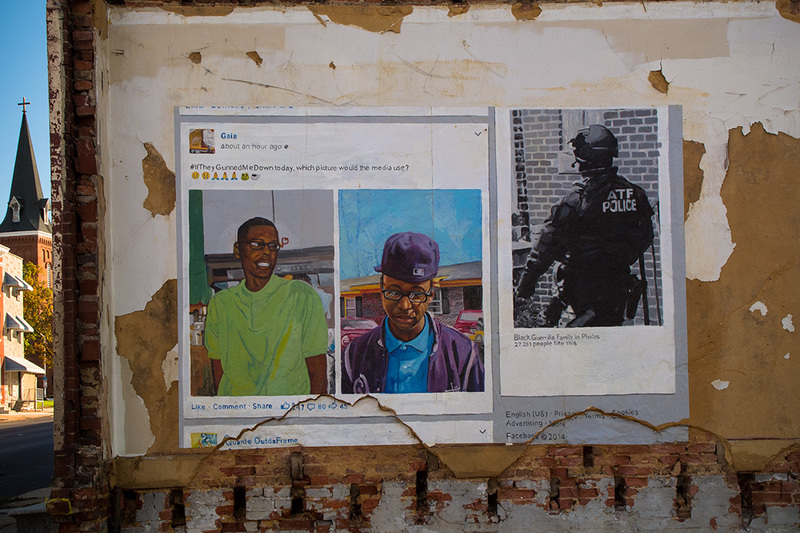 Today’s edition of What’s Up on Charm City Streets covers the second half of November 2014 and features a new mural by Stefan Ways; a new Red X wheatpaste by Nether; and a new wire sculpture by Reed Bmore; plus work by several artists along the Jones Falls waterway and in Graffiti Alley. Today’s edition of What’s Up on Charm City Streets covers the first half of November, 2014 and features tributes to the graffiti artist Mask who passed away earlier this year; plus, work by several artists in Graffiti Alley, Section 1 Art Park, and the Station North Arts District. July saw Gaia in Austria participating with Cyrcle – Cash, Cans & Candy on a mural highlighting Vienna’s rich architectural history … and in southeast Italy where he painted Non Ricordo (I do not remember) for the Viavai Project in Racale. 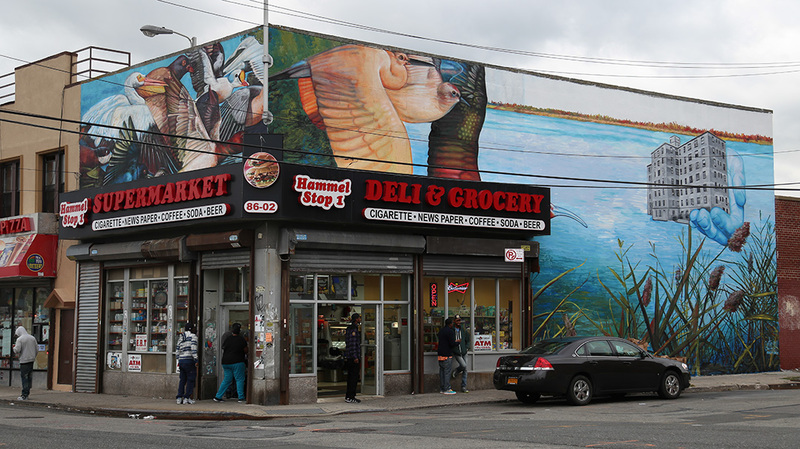 Headlining today’s edition … Gaia’s wheatpaste If They Gunned Me Down today, which picture would the media use. 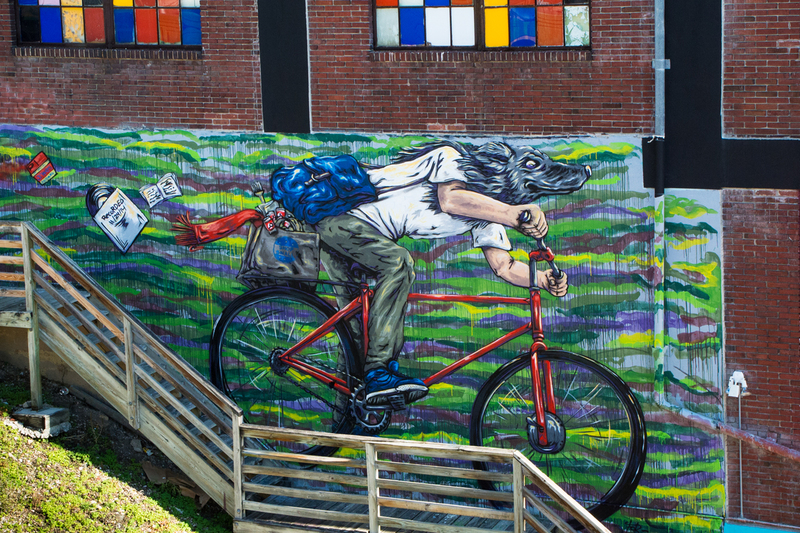 Today’s edition of What’s Up on Charm City Streets covers the second half of October, 2014 and features a new wire sculpture by Reed Bmore, a vampiric piece by Hans, and work by two other artists in Graffiti Alley. 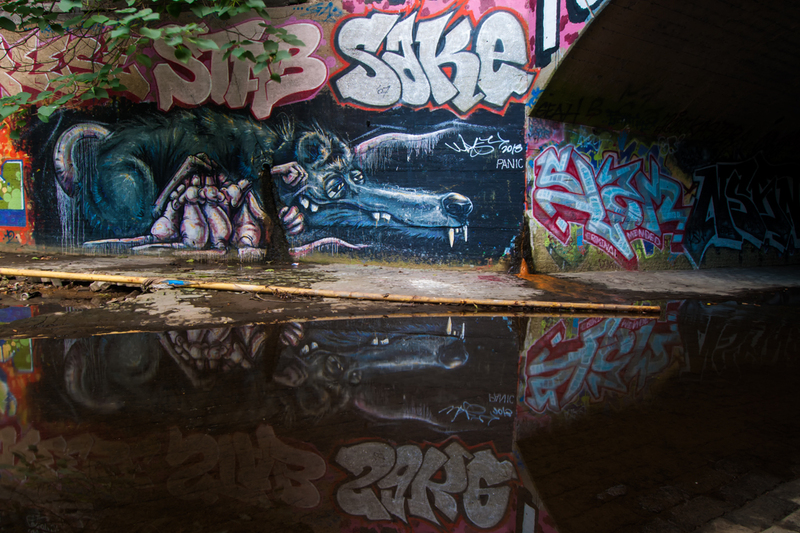 Graffiti writers and street artists make use of concrete space in a wide variety of places around Baltimore. Here are a number of art pieces found along water management culverts in the Station North Arts District. In the photo above you see the first wheatpaste in a series by Gaia entitled %iftheygunnedmedown. Above the two photos of the young man it reads: if they gunned me down, which photo would the media use? This wheatpaste is on the corner of E Biddle and Ensor Streets. Gaia and Brandon Buckson teamed up to create this first wheatpaste. 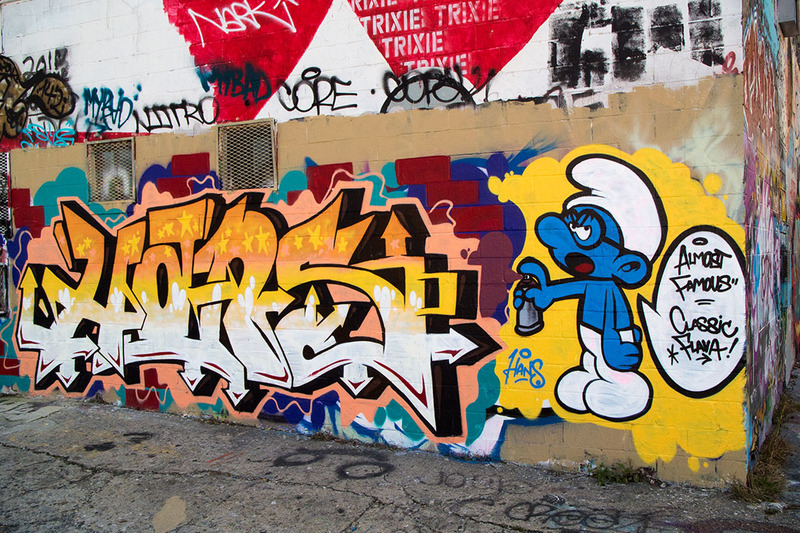 Today’s edition of What’s Up on Charm City Streets covers the first half of October, 2014 and features additional images of Jah Versa as well as a throwup by Sert. 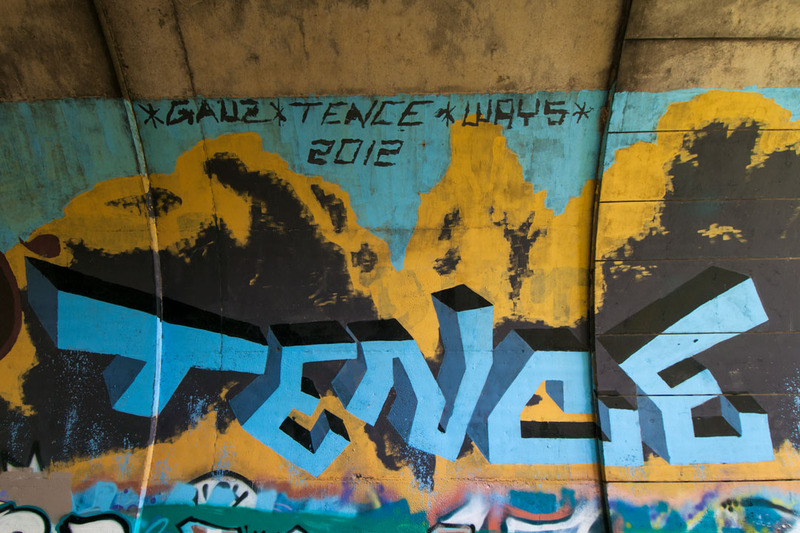 Graffiti writers and street artists make use of concrete space in a wide variety of places around Baltimore. Here are a number of art pieces found recently along the wooded trails through Wyman Park. 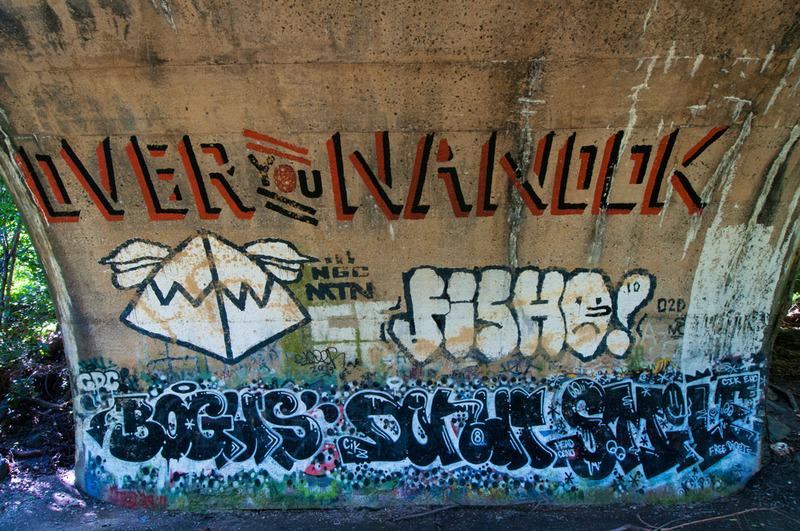 Graffiti writers and street artists make use of concrete space in a wide variety of places around Baltimore. Here are a number of art pieces found recently on the border between the Remington and Hampden neighborhoods.